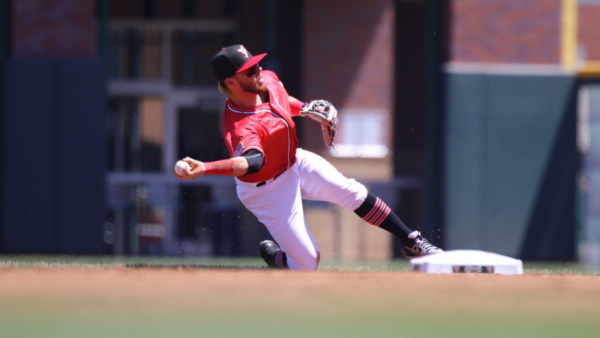 Padres affiliates went 2-2 on Sunday, including the first win of the season for the Chihuahuas, to close out the week of action in the minor leagues. Here’s a recap of the day’s games. Bryan Mitchell made his first start of the year for El Paso, going two and a third innings without giving up a run and allowing four runners to reach base in his limited action. 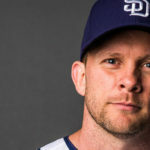 Mitchell was immediately followed by lefty Dietrich Enns, who threw four innings and struggled, allowing five runs to come home on seven hits and a walk. The final run scored by Las Vegas would be on a homerun by Mark Payton in the eighth inning off of Luis Perdomo. The bats were alive for El Paso tonight as both Alex Dickerson and Esteban Quiroz picked up three RBIs as they continued their hot starts to the season. Dickerson’s RBI’s came on a three-run blast with two outs as part of El Paso’s six-run seventh inning to secure the lead. Despite the offensive explosion, El Paso’s pitching struggles were still evident in the victory. #Padres‘ No. 11 prospect Josh Naylor hit his first 💣 of the year, a two-run 🚀 in the @epchihuahuas‘ 10-6 victory. 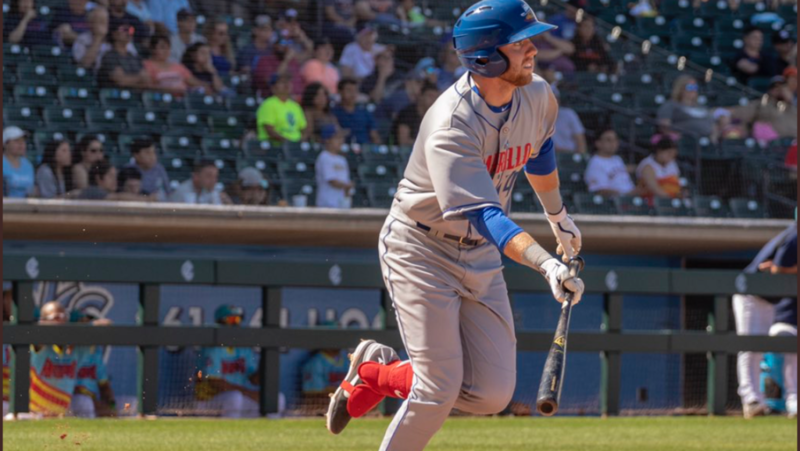 Amarillo suffered a tough loss as fireballing reliever Andres Munoz gave up a three-run go-ahead home run in the eighth inning to Corpus Christi Hooks catcher Lorenzo Quintana. 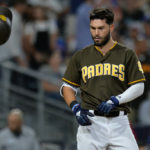 None of those runs were earned however as a fielding error by newly minted second baseman Hudson Potts took away what should have been the first out of the inning and allowed Abraham Toro to reach base. Aside from that inning, the pitching looked sharp. Starter Lake Bachar went five innings, picking up seven strikeouts along the way and allowing two runs to come home on three hits and another trio of walks. 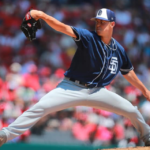 Blake Rogers picked up his first hold of the season, pitching two shutout innings out of the pen with a pair of strikeouts and only two runners reaching base. On the offensive side of the ball, all of Amarillo’s runs were scored on the first home runs of the season from Owen Miller, Edward Olivares, and Jorge Ona. Ona’s was a two-run shot in the fifth inning that initially gave the Sod Poodles the lead that was eventually lost. 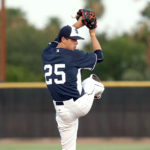 The Storm continued their winning ways against the Inland Empire 66ers as starter Luis Patino flashed great stuff in his first start at High-A, going five innings while striking out seven and working around the seven runners he allowed only to give up a single run. The bullpen was successful as well as they didn’t allow a hit or run over the final four innings despite four walks by Elliot Ashbeck in his two innings of work. 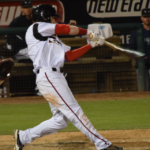 Both of Lake Elsinore’s runs came in the sixth inning as catcher Luis Campusano hit a sac fly to drive in Eguy Rosario and Esteury Ruiz followed that up with a single to right field to bring Luis Campusano around to score. Those two runs were all the Storm needed in a low scoring affair. 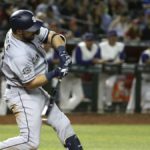 The Storm is easily off to the best start of any of the Padres affiliates, and they figure to keep that going with the exciting collection of talent that packs their roster. The offense came late in this one as all nine runs scored in the contest came in the sixth inning or later. Right-hander Gabe Mosser had an excellent start for Fort Wayne as he only allowed a single run through seven innings and was in line to pick up the win at the time that he left the game. Unfortunately, the bullpen could not hold on. Two runs came home off of Dan Dallas in the eighth inning to tie the game back up for the Lugnuts. 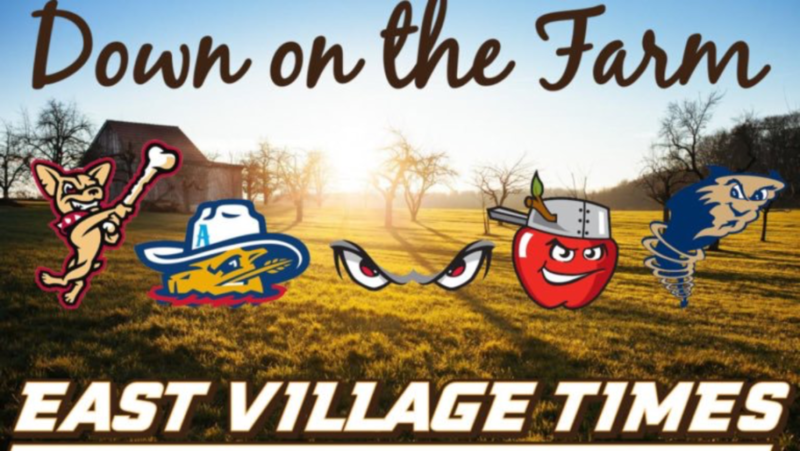 Dallas came back out for the ninth inning to try and pick up the save as Fort Wayne had retaken the lead in the top of the inning on a Tucupita Marcano RBI single. 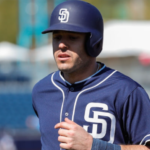 After allowing a single to lead off the ninth, Dallas was lifted for Carlos Belen who allowed the tying and winning run to come home on a wild pitch and a walk-off HBP, respectively. Belen would only be credited with enabling the second run to score as the first was by Reggie Pruitt who was pinch running Alejandro Kirk, who started the inning off with the single off Dan Dallas.